Taxes have consistently been a key issue for presidential elections forever, it seems, and this year’s election is no different. Cutting through the rhetoric to get the truth on each candidate’s plan is not an easy task. 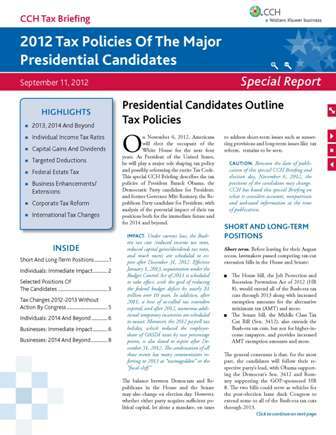 Our friends at CCH have compiled a comprehensive listing of each candidates’ tax plans. 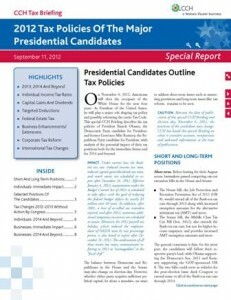 Download the 2012 Presidential Candidates' Tax Policies summary today!